A central tenet of a Marist education is the development of the capacity to articulate ideas and convey them to an audience in a convincing and compelling way. It is also becoming increasingly important to find a voice to counter populist views of intolerance and prejudice contrary to the message of a Christian school like St Joseph’s. Oratory is thus a major means of encouraging reflection, reason and compassion. 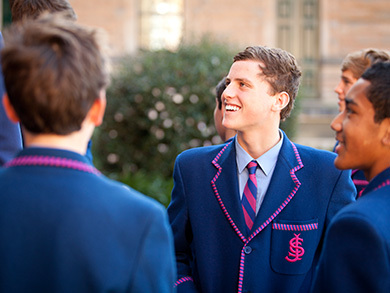 Students from Years 7 to 12 are encouraged to participate in oratory and are coached and supported by experienced staff and Old Boys of the College. Boys are given the opportunity to takes part in a number of oratory competitions each year where they perform at an extremely high level. In 2013, the senior division of the CSDA competition was won by a Year 11 student from St Joseph’s and the College also was named the overall winner of the Marist Oratory Competition. Other opportunities for oratory include the Lawrence Campbell Competition and a number of internal challenges.